We like to think that we are at the centre of the village community, getting involved in many local events, but also cater for many customers who come from much farther away to enjoy Head Chef Roger Payne’s fantastic modern country cooking.The Rattlebone is a Youngs outlet, so specialises in fantastic Real Ales and Wines. 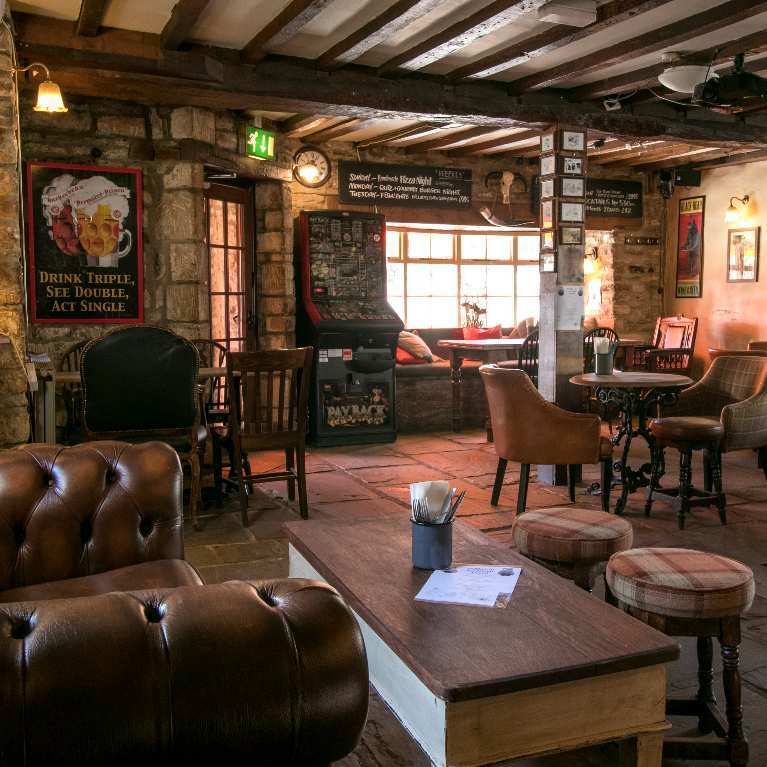 We aim to be one of the friendliest pubs in the West Country where customers can come to enjoy delicious food, drink. Under Head Chef Roger Payne, our modern country bistro cuisine has a fantastic reputation for being the best food in the area. 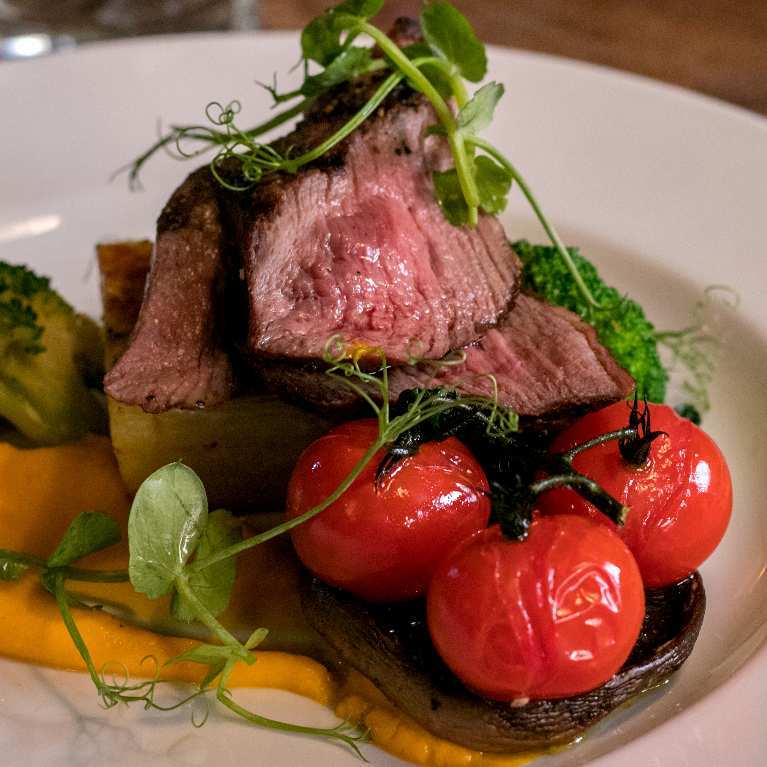 Locally sourced, the menus include the best, juiciest steaks and meats, game in season, fresh fish, homemade desserts and artisan cheeses. 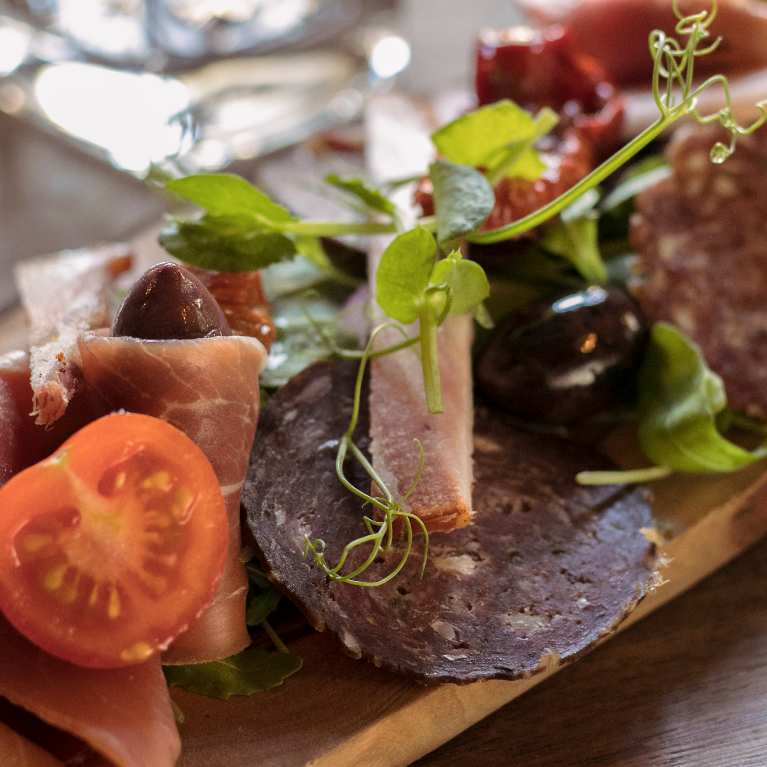 We mix modern interpretations of pub classics with more up to date and interesting dishes to produce the perfect pub dining menu. We are first and foremost a great country pub, so pride ourselves on the drinks we sell. 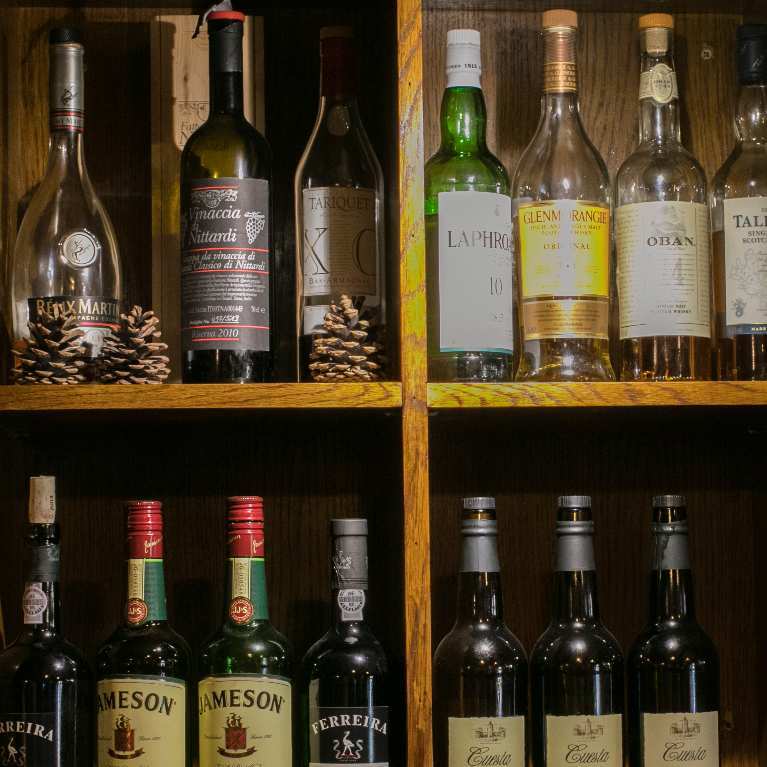 From high quality Real Ales, to an extensive Wine List of over 30 wines (many served by the glass), to our extensive Malt Whiskey selection we hope to cater for most tastes. We also sell a number of homemade drinks, including our famous Sloe Gin, and for those in the mood a variety of cocktails. We can accommodate these either in the back restaurant (seats 40), skittle alley (seats 40) or in the back garden. Our policy is that we can do anything that you would like – from curries, to ‘carve your own roasts’, to hot and cold buffets to full 3 course a la carte menus. We can also offer BBQs, hog roasts or even a giant paella outside. The best thing to do is to come up and sit down with our chefs for inspiration!.